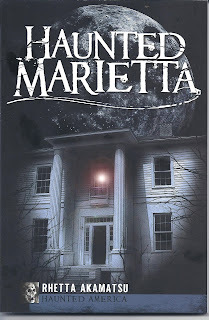 I finished reading the book HAUNTED MARIETTA by Rhetta Akamatsu. It is simple events or sightings of beings that probably used to be living and a good dose of local history to help paint the picture. Ms Akamatsu tells of places all over Marietta and on the outskirts such as Sandy Plains Road and as far south as the Concord Covered Bridge. She usually gives her theories why a certain area or objects might attract ghosts, such as bridges. She tells of haunts in downtown and the killing fields (and mountain) of the Civil War and explains the possibilities of why the spirits settled on a particular place. The Civil War plays heavily in her narration because this town was under U.S. marshal law from the summer of 1864 on for a couple of years. The citizens starved and lived their lives in despair. 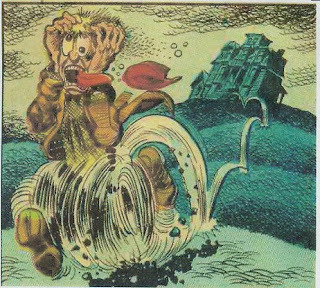 Life was hell then…. The brewing ground for unsettled spirits. Some people are skeptics about ghosts. Well, if they are they are. You can read this book and keep your belief intact but still enjoy this book just for the local history education you will absorb. Rhetta Akamutsu covers every major historical event that I can think of. It lacks detailed facts and figures but has quality run-downs of each event that unfolded in Marietta. Another thing I enjoyed about the book, which I already mentioned in a previous blog is that it mentions Chicken Fat and me three times!! !